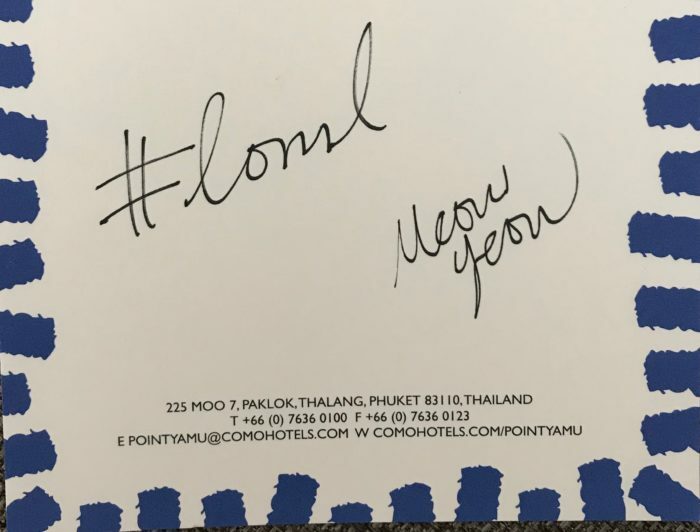 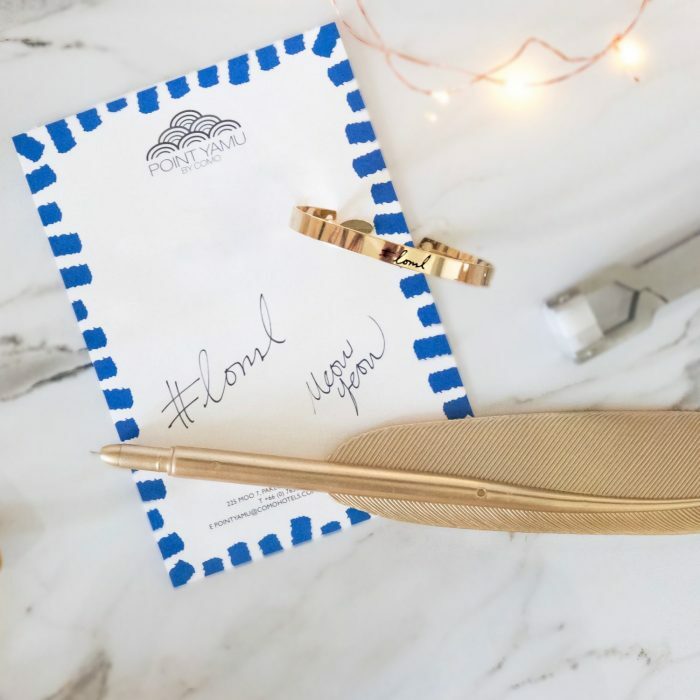 Have a special note or drawing* that mean a world to you? Wear them on your wrist! 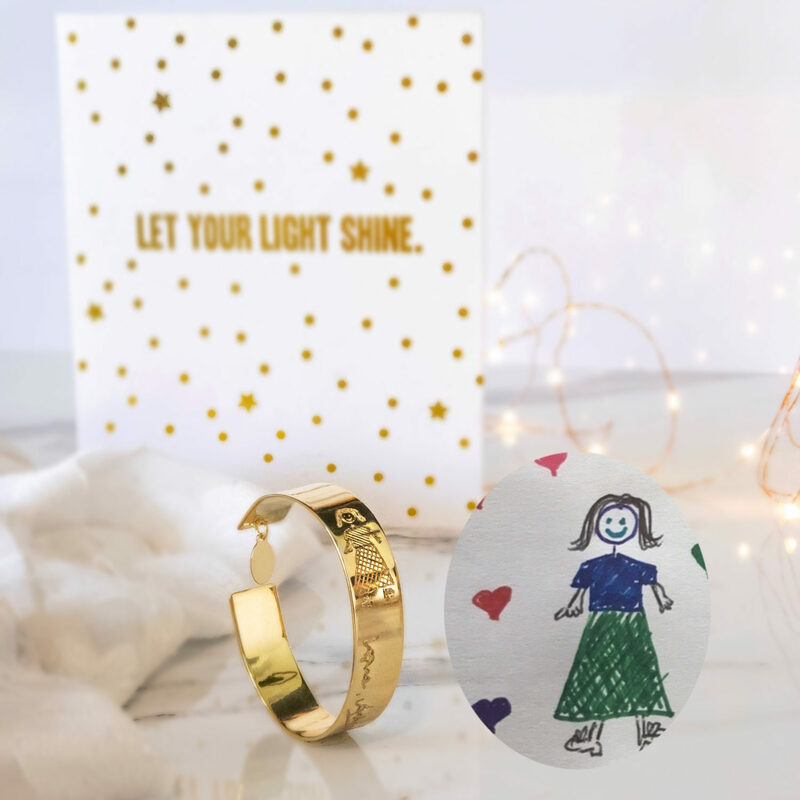 A fully customisable keepsake jewelry to forever treasure. Here we have an example of a stick figure drawing of a customer from her bf which we traced & etched onto the broad bangle together with his sign off OR When the tough gets tougher, a simple reminder that you are each other’s #loml definitely brings a sm:)e to your face. 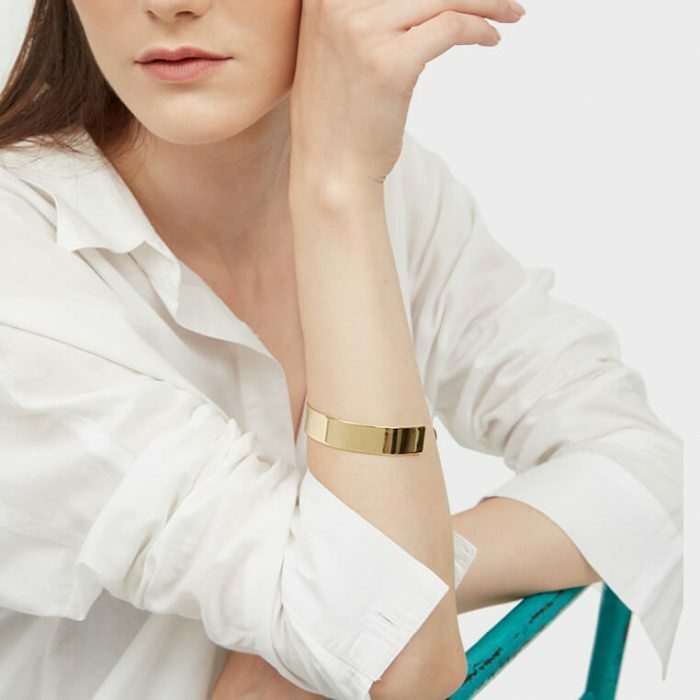 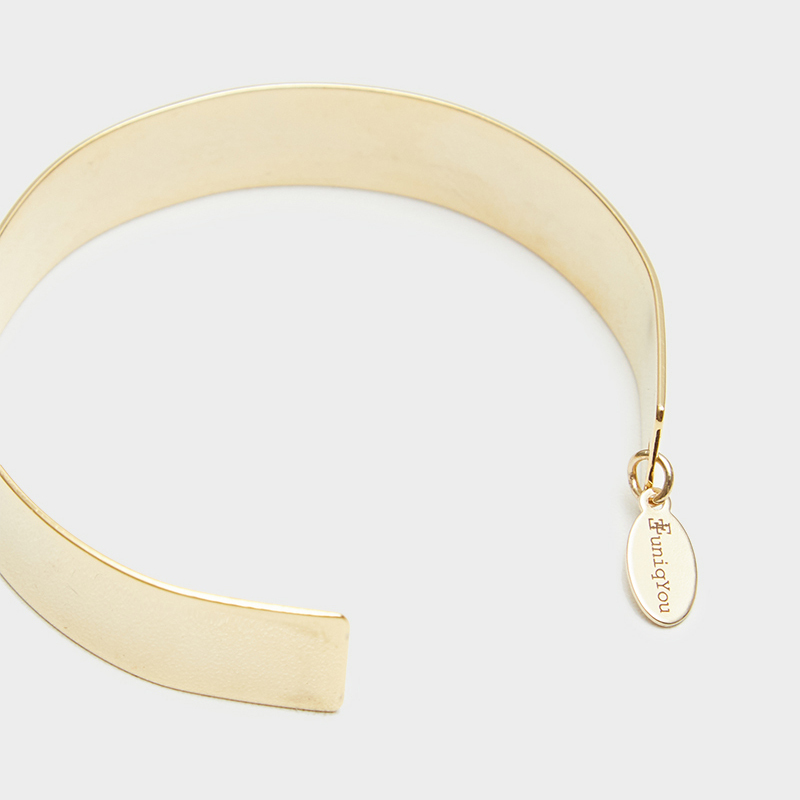 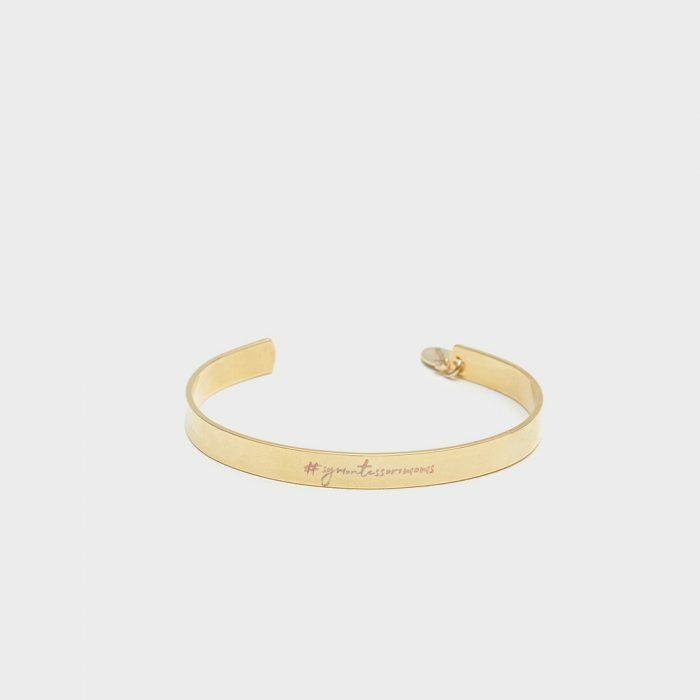 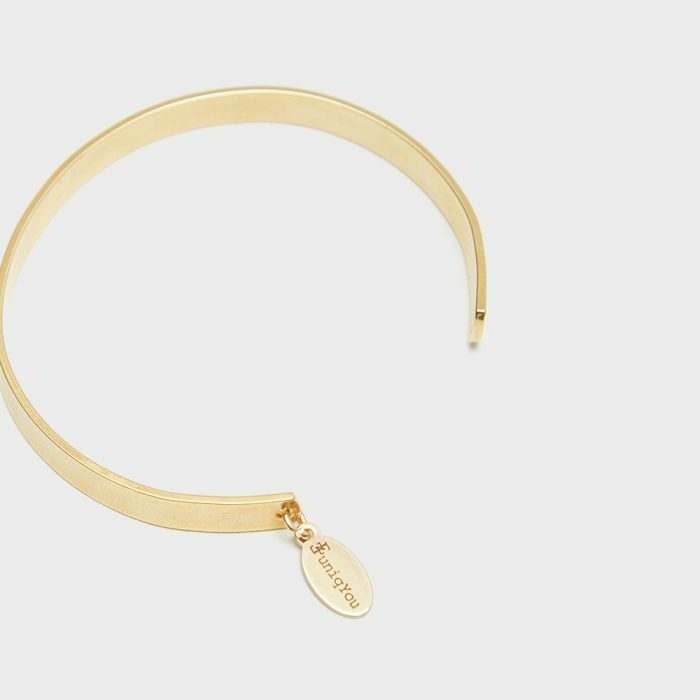 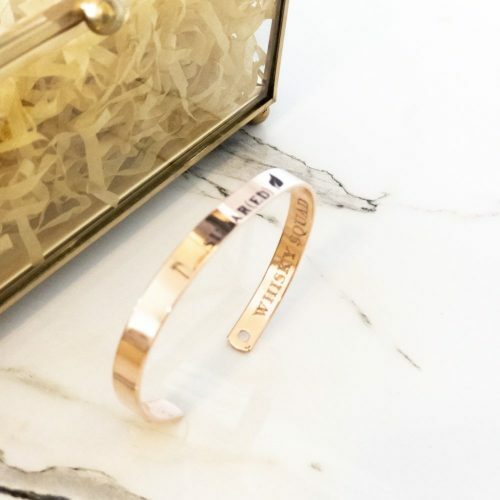 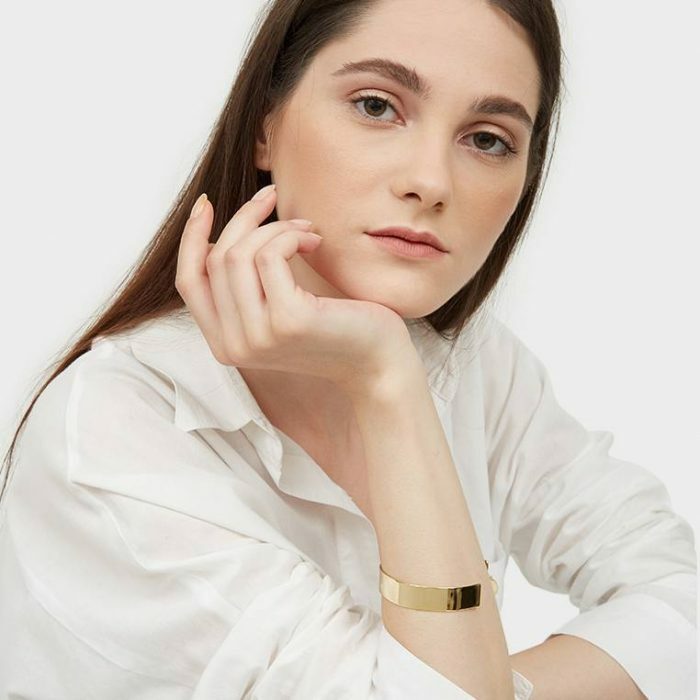 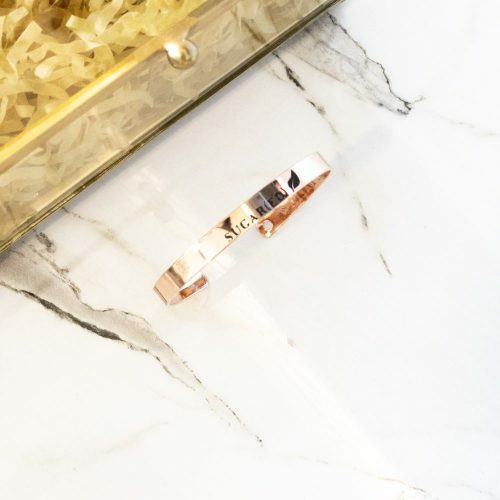 Writing may be etched onto one or both sides of your piece on 16K gold plated adjustable bangle. 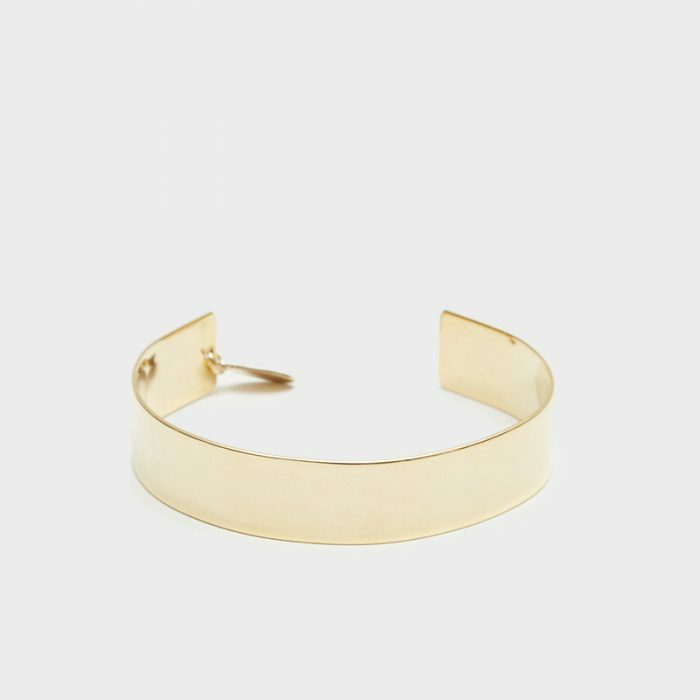 Plating is applied over brass, nickel-free.